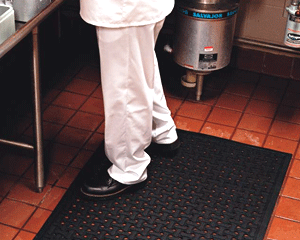 Mike Andersen tells us which mats fit the bill for wet areas like kitchens and food preparation areas. Your food might even taste better. Fashionable options for workers who spend a lot of time on their feet.